I can’t help myself. And for some odd reason, this one made me laugh. 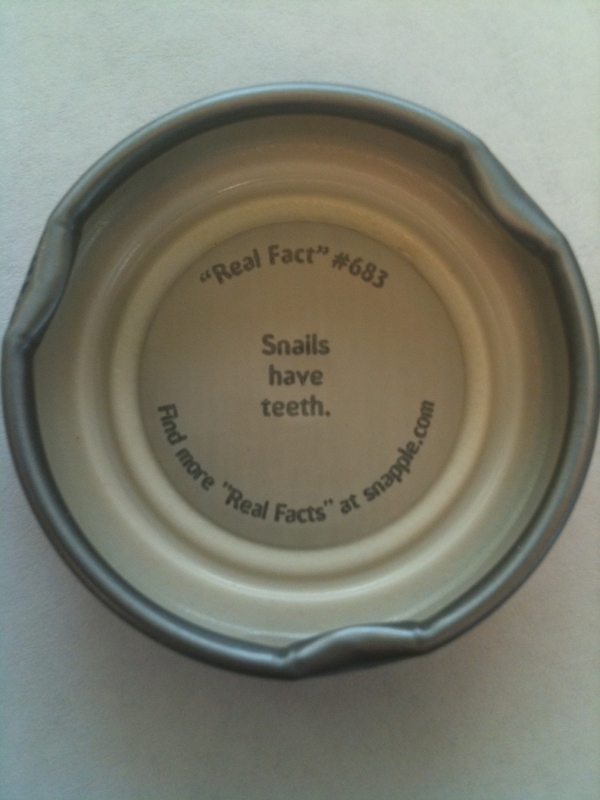 Yep, it’s time for another Snapple Cap. This time I got one pleasantly relevant. Apparently there’s actually something to this. A quick google search will give you plenty of other sites about the same concept.